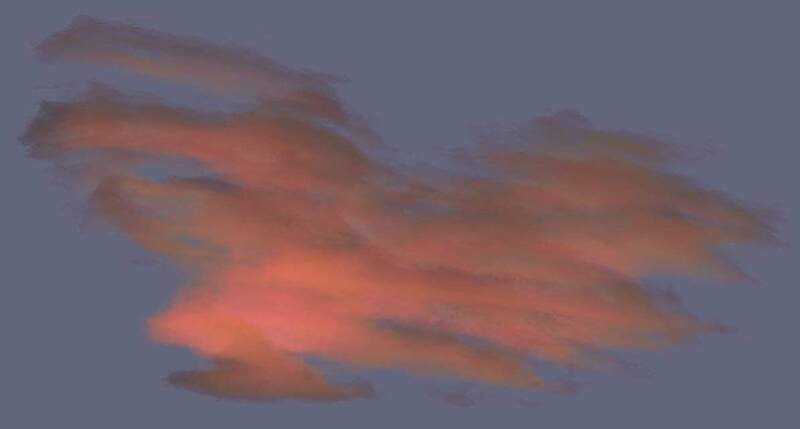 For artists creating computer-animated special effects in films or games, artificial clouds present a real challenge. Now, a student at Purdue University has helped develop lightning-quick software that makes it easy for an artist to craft rolling thunderheads or delicate drifting wisps. As an undergraduate research assistant working with professor David Ebert, director of the Purdue University Rendering and Perceptualization Lab (PURPL), and professor Charles Hansen of the University of Utah, Joshua Schpok developed software called Swell. Swell puts an artist-friendly interface on cloud-rendering software refined by Ebert over the past decade and takes advantage of modern computer graphics hardware to render complex clouds instantly. "Clouds, fire, smoke and water are difficult to model because you need to capture the full 3-D distribution of the material," Ebert said. "Trying to simulate the complexity of nature is one of the challenges of computer graphics." Software for rendering natural phenomena typically has to make trade-offs between realism and computing speed. Most commercial software packages quickly generate low-quality preview images for an artist, but rendering a single, realistic cloud image can take two minutes or more. For an animation running at 30 frames per second, a 15-second cloud sequence would require 450 images—or up to 15 hours of rendering time. And because preview images skimp on detail, the final product might not look at all like the artist expected. In addition to real-time animations, Schpok's Swell has an interface that makes it easy for artists to design their clouds. Rather than dozens of esoteric settings, artists can adjust a much smaller set of more intuitive parameters, such as the cloud type (cumulus, stratus, cirrus or "wispy"), the storminess level and the wind direction and strength. Purdue University engineering student Joshua Schpok created a software program called Swell that can be used by artists to create realistic animations of cloud formations for movies and video games. The same approach also could be used to design software for creating animations of any gaseous phenomena, such as explosions, smoke, steam and fog. These images (above and below) are examples of clouds created with Swell. 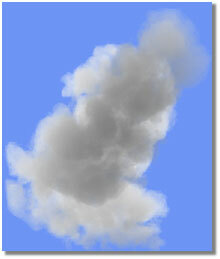 These animations show the real-time animation capabilities of the Swell cloud-rendering software. A report recently released by the Computing Research Association outlines five "Grand Research Challenges": a post-disaster safety net, "cognitive partners" for humans, personalized lifelong learning environments, unfailingly reliable systems, and simplification of information technology. The result of a three-day workshop supported by the National Science Foundation, the report encapsulates the discussions of 65 leading computer science and engineering researchers. The grand challenges relate to building the information systems of the future and provide long-term goals for the short-term activities of the research community. The conference attendees selected five "deliberately monumental" research challenges, each of which will require "at least a decade of concentrated research in order to make substantive progress," the report states. Create a Ubiquitous Safety.Net—A web of systems should be in place to mitigate the impact of and coordinate the response to natural and man-made disasters. Build a Team of Your Own—Humans will be able to pursue complex goals, aided by a team of robots and software agents to amplify physical capabilities and carry out specialized thought processes. Provide a Teacher for Every Learner—Students of all ages can receive virtual "one-on-one" instruction, tailored to their learning style, in an environment of unlimited digital resources. Build Systems You Can Count On—Reliability, security and availability should be second nature to the critical, complex information systems of tomorrow. Conquer System Complexity—Researches must overcome the complexity of large-scale information systems, which hinders their use and could prevent the preceding challenges from being realized. Liquid crystals are most recognized in the form of liquid crystal displays (LCDs)—found in everything from digital watches to notebook computers and flat-panel desktop monitors. But liquid crystals are far more talented than that. In the August 1 issue of the journal Science, for example, University of Wisconsin chemical engineer Nicholas Abbott reported a big step toward using them in flexible, inexpensive "smart-paper" displays, and in ultra-sensitive detectors for biomolecules or toxic chemicals. Smart paper and biochemical sensors may seem very different, says Abbott, who did this work at Wisconsin's Materials Research Science and Engineering Center, one of 27 such centers funded by the National Science Foundation. "But the unifying theme of our work is that a thin layer of liquid crystal can greatly amplify a wide range of activities on the underlying surface." In earlier work, for example, he and his colleagues showed that when proteins or other small molecules were captured on a specially prepared surface, they would perturb the liquid crystal immediately above. But the long, thin molecules in the fluid are always trying to line up in the same direction, says Abbott; that's why they're called "liquid crystals" in the first place. So the tiny distortions caused by the bound molecule propagate upward through the liquid for a tenth of a millimeter or so—a vast distance on a molecular scale. The result is a large, easily detectable change in the optical properties of the liquid crystal. Now, Abbott and his colleagues have produced the same kind of effect in a way that can be controlled electronically. They start by layering the liquid crystal on top of a thin gold foil, which has been coated with a compound known as ferrocene. When the researchers then apply a voltage to the foil, the ferrocene molecules respond by changing their electrical charge. Once again, the change in charge produces a detectable distortion in the liquid crystal orientations above.